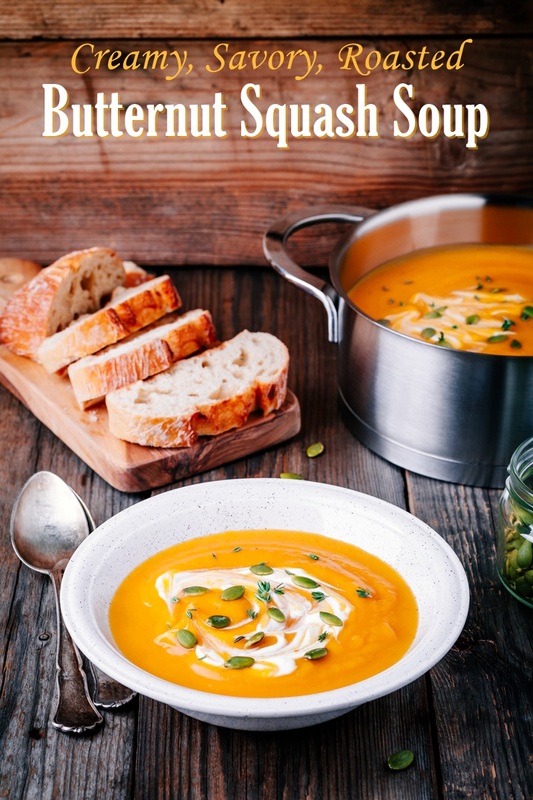 This creamy roasted butternut squash soup was a showcase recipe that was shared with us many years ago by Wild Oats. They were a natural grocery chain that was devoured by Whole Foods. But in their day, they had a fantastic culinary department that created delicious plant-based, dairy-free recipes like this one. 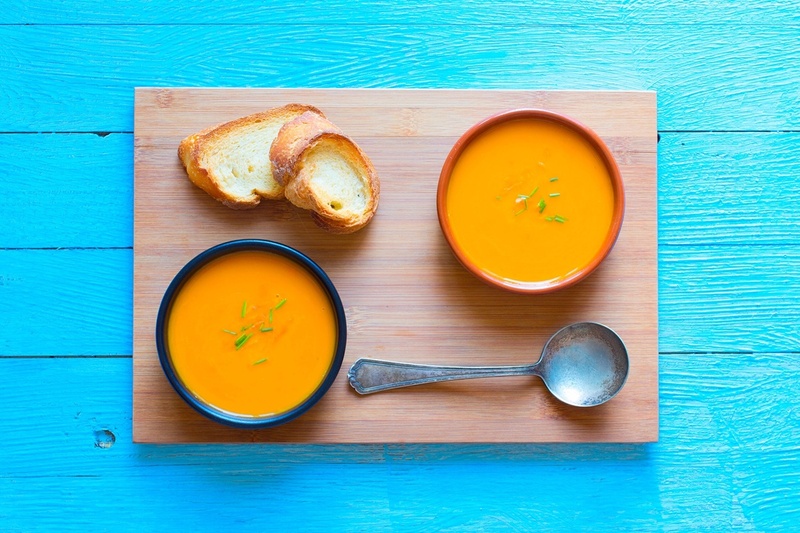 It is a savory soup with light notes of natural sweetness from the roasted vegetables. Butternut squash can be a bear to work with. You’re going to want to cut off the ends, but if it is too tough, you can soften the squash in the microwave. It usually takes about 3 minutes on high to make it easier. You can alternatively buy pre-cut butternut squash. Since the ends and peel are already removed, you can use a little less. About 1 1/2 to 1 3/4 pounds should do. The original recipe for this roasted butternut squash soup used milk beverage (I believe it was soymilk), but I added lite coconut milk as an option. You can even use full-fat coconut milk. It’s a small amount, so the coconut flavor doesn’t overwhelm. 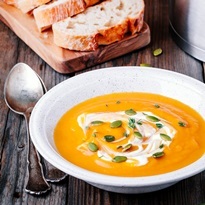 It actually compliments the squash in flavor and adds a little bit more creaminess. Salt is needed to balance the taste and bring out some of the flavors. 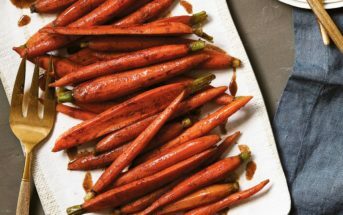 Without enough, the flavor could taste a little bland or flat. If you are using a low-sodium broth, you will probably want to add a little more salt. 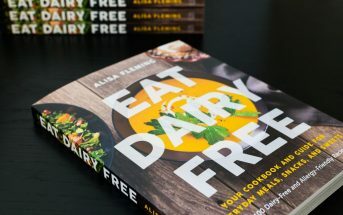 By ingredients, this recipe is dairy-free / non-dairy, egg-free, gluten-free, grain-free, nut-free, peanut-free, soy-free, vegan, plant-based, vegetarian, and optionally paleo. 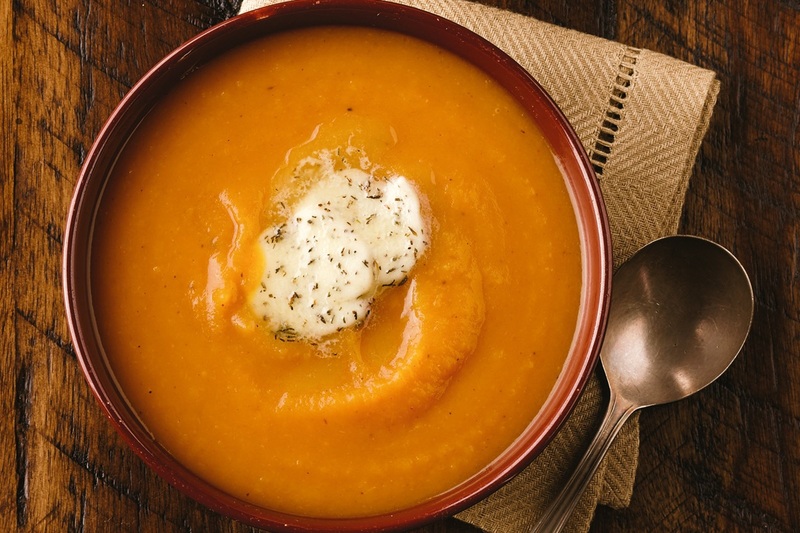 This soup recipe lets the naturally sweet and savory sides of butternut squash shine. Place the squash, onion, carrot, and garlic on a baking sheet. Toss with the oil and sprinkle with a little salt. Roast for 40 minutes, or until the squash is soft. Transfer the vegetables to a soup pot. Add the broth, wine, herbs, and allspice and place the pot over medium heat. 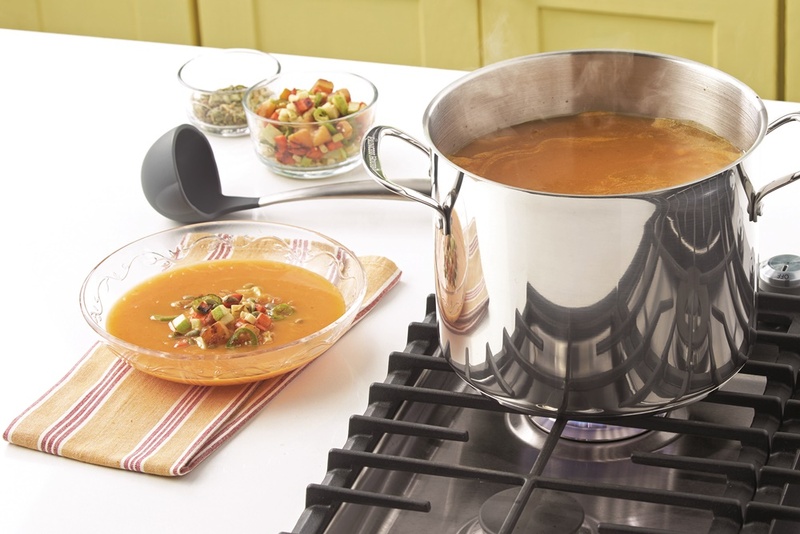 Bring the soup to a simmer. Reduce the heat to medium-low, and simmer for 20 minutes. Remove the pot from the heat and let cool for 10 minutes. 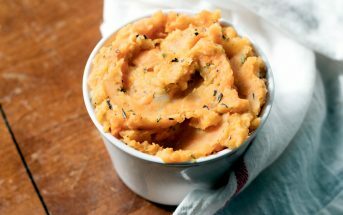 Puree with a stick blender or in your blender (for the smoothest results). Open the steam vent and cover it with a towel to allow steam to escape while blending. Blend in the milk beverage or coconut milk. Season to taste with salt and black pepper. Serve garnished with roasted pumpkin seeds, if desired. And swirl in some dairy-free sour cream or coconut cream if you wish! For more Dairy-Free Recipes, Get Eat Dairy Free! 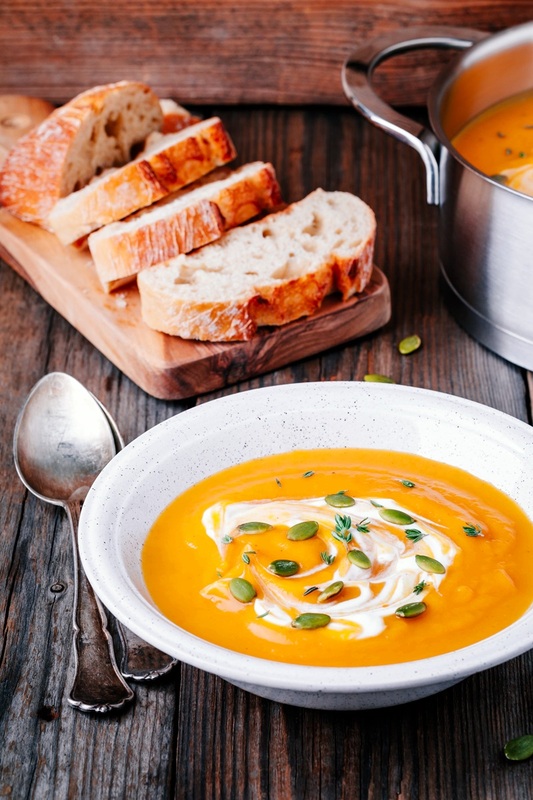 Pingback: Health Benefits of Butternut Squash – And Vegetarian, Gluten-Free, Dairy-Free Butternut Squash Recipes Too!